Do Hedge Funds Love ClubCorp Holdings Inc (MYCC)? The successful funds run by legendary investors such as Dan Loeb and David Tepper make hundreds of millions of dollars for themselves and their investors by spending enormous resources doing research on small cap stocks that big investment banks don’t follow. Because of their pay structures, they have strong incentive to do the research necessary to beat the market. That’s why we pay close attention to what they think in small cap stocks. 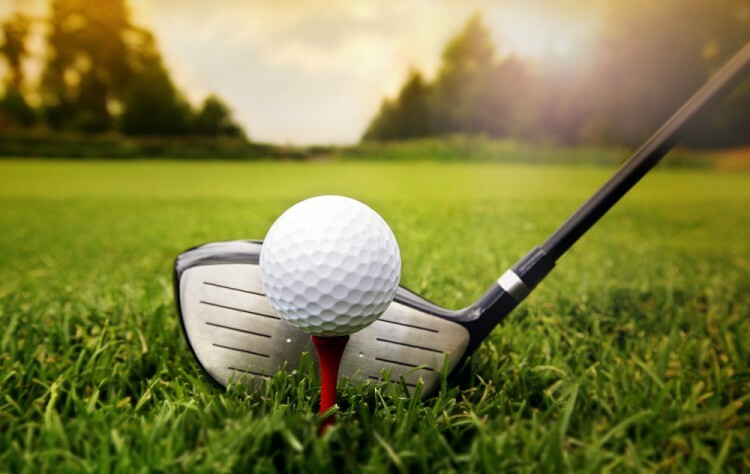 In this article, we take a closer look at ClubCorp Holdings Inc (NYSE:MYCC) from the perspective of those successful funds. ClubCorp Holdings Inc (NYSE:MYCC) shares didn’t see a lot of action during the third quarter. Overall, hedge fund sentiment was unchanged. The stock was in 18 hedge funds’ portfolios at the end of September. At the end of this article we will also compare MYCC to other stocks including AveXis Inc (NASDAQ:AVXS), Trina Solar Limited (ADR) (NYSE:TSL), and New Senior Investment Group Inc (NYSE:SNR) to get a better sense of its popularity. What have hedge funds been doing with ClubCorp Holdings Inc (NYSE:MYCC)? Heading into the fourth quarter of 2016, a total of 18 of the hedge funds tracked by Insider Monkey were long this stock, unchanged from the second quarter of 2016. 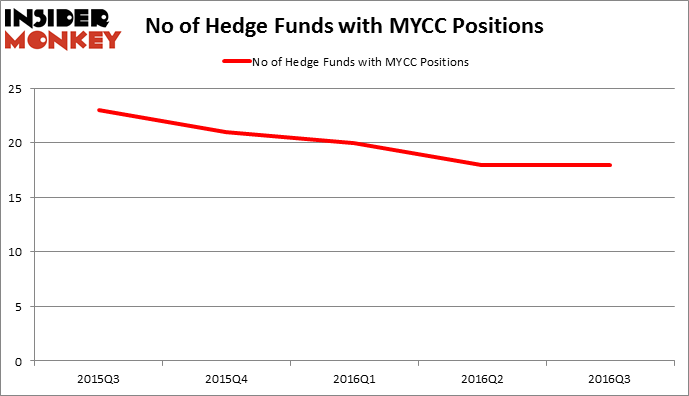 Below, you can check out the change in hedge fund sentiment towards MYCC over the last 5 quarters. With the smart money’s positions undergoing their usual ebb and flow, there exists an “upper tier” of noteworthy hedge fund managers who were increasing their holdings meaningfully (or already accumulated large positions). According to Insider Monkey’s hedge fund database, Joshua Friedman and Mitchell Julis’ Canyon Capital Advisors has the number one position in ClubCorp Holdings Inc (NYSE:MYCC), worth close to $37.3 million, accounting for 1.4% of its total 13F portfolio. The second largest stake is held by FrontFour Capital Group, led by Stephen Loukas, David A. Lorber, Zachary George, holding a $25.4 million position; 5.9% of its 13F portfolio is allocated to the company. Remaining peers that hold long positions consist of Ken Griffin’s Citadel Investment Group, Israel Englander’s Millennium Management, and Stephen Loukas, David A. Lorber and Zachary George’s FrontFour Capital Group. We should note that none of these hedge funds are among our list of the 100 best performing hedge funds which is based on the performance of their 13F long positions in non-microcap stocks.